The Affordable Care Act requires health insurance companies to subsidize the cost of co- payments and deductibles for lower-income people. In turn, the Act requires the federal government to make advance payments to the companies to cover the cost of this subsidy. The legal problem in this case is that while the Act requires the insurance companies to be paid, but the Act did not actually appropriate money for these payments. If Congress doesn't appropriate money for a program, the Constitution prohibits the executive branch from spending money on that program – even if Congress previously enacted a statute requiring the expenditure. The Obama Administration took the position that the Affordable Care Act indeed appropriated money for the payments, so it drew funds from the U.S. Treasury every month to make them. The Trump Administration initially continued this practice, but has now concluded that the Act did not actually make the necessary appropriation and terminated the payment effective October 2017, at least until Congress decides to appropriate the money. In response, the State of California, along with 17 other states and the District of Columbia, filed this lawsuit, contending the Obama Administration was right. They sought an emergency ruling requiring the Trump Administration to continue making the payments while the lawsuit is pending. On Wednesday October 2017, a California Federal District Judge Vince Chhabria denied the States’ request. His ruling made these two critical findings. First, although the case is at an early stage, and although it's a close question, it appears initially that the Trump Administration has the stronger legal argument. 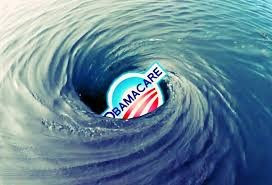 Second, and more importantly, the emergency relief sought by the states would be counterproductive. State regulators have been working for months to prepare for the termination of these payments. That would not include the State of Alabama, from what I have been told. And although you wouldn't know it from reading the states' papers in this lawsuit, the truth is that most state regulators have devised responses that give millions of lower-income people better health coverage options than they would otherwise have had. This is true in almost all the states joining this lawsuit, including California, whose regulators issued a press release just days before the suit explaining how so many lower-income people will benefit. Common Sense Counsel: I recently presented a plan to local industry titled President Delivers Opportunity to Lower Employer Medical Cost to band together and explore the formation of a Multiple Employer Welfare Arrangement (MEWA), with employee incentivized Health Reimbursement Accounts (HRA) coupled with wellness plans, child care scholarships, that would enjoy lower premiums, more local control of healthcare decisions and result in happier and healthier employees – an employer’s greatest asset! See my 10.15.2017 Column Trump Decides to Lower Small Business Health Care Premiums for details. Expect the slow demise of Obamacare, sky rocking premium increases, deductibles and co-pays in Alabama in 2018. The solution to healthcare is local. It is not found in Washington. No. 1. FMLA/ADA coordination. Recently a three-judge panel of the U.S. Court of Appeals for the Seventh Circuit ruled that an extended medical leave of absence is not a “reasonable” accommodation within the meaning of the Americans with Disabilities Act (ADA). 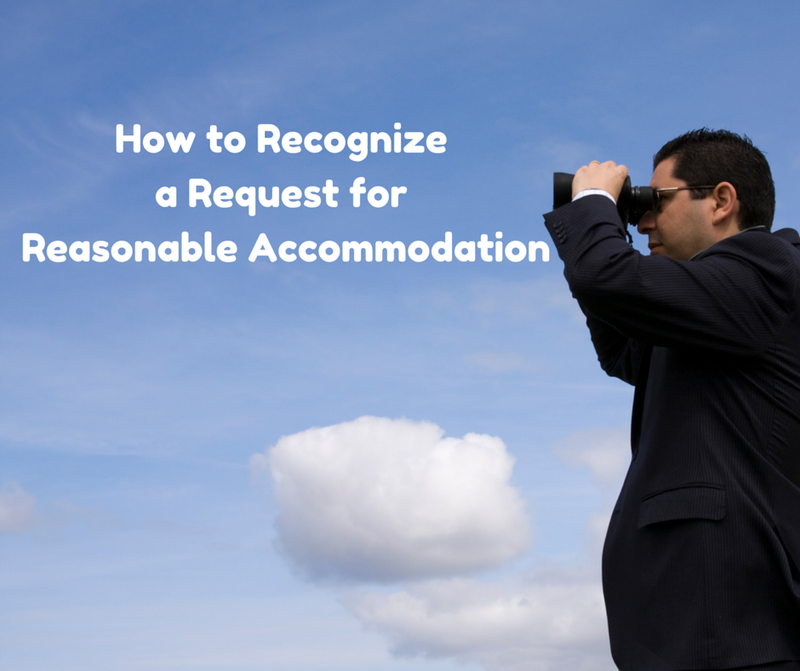 According to the Court, a reasonable accommodation has to allow the employee to work. Because an employee can’t work while on an extended medical leave, leaves are governed by the Family and Medical Leave Act (as well as employer policies) rather than the ADA. The court did not rule out the possibility of short or intermittent time off as an ADA accommodation. An employee signed job description is critical to winning this battle. No. 2. Medical marijuana accommodation. Not too long ago, the Massachusetts Supreme Judicial Court said that employers may be required under the state disability rights statute to make reasonable accommodations for the use of medical marijuana by a cardholder. The court specifically said that “reasonable accommodation” could include treating a positive medical marijuana test result as a “negative” and allowing the applicant or employee to work. Employers who have employees that report to work in jurisdictions that have: (1) legalized medical marijuana; (2) state has an anti-discrimination medical marijuana cardholder statute; and (3) state has a disability rights law, should review their Drug Testing policies and practices carefully. But if your employees are covered by a federal law that prohibits all marijuana use, such as U.S. Department of Transportation regulations, then you can continue to comply with federal law even if you’re in a medical marijuana/disability rights state. But watch out, because federal law generally does not require you to fire an employee who tests positive — it usually requires only that you remove the employee from the position that is covered. Again, your job description and DOT Policy will govern your options. No. 3. Pregnancy accommodation. Since the Supreme Court’s 2015 decision in Young v. UPS, employers must make reasonable accommodations for pregnancy and pregnancy-related conditions. Employers with employees who need pregnancy accommodations should use what they’ve learned from making reasonable accommodations under the ADA: specifically, be open to making accommodations, engage in the interactive process with the employee, feel free to choose the least expensive/least disruptive accommodation that is still effective (allows the employee to perform the essential functions of the job), and generally treat the pregnant employee who needs accommodation the same way you would treat an employee with a disability or work-related injury. As the courts have interpreted Title VII’s pregnancy protections, “pregnancy” encompasses much more than the nine months of gestation. It includes pre-pregnancy (trying to get pregnant, trying not to get pregnant, contraceptive use, fertility treatments), gestation (including miscarriages and elective abortions), and postpartum and lactation. No. 4. Wellness programs. This summer, a federal judge in the District of Columbia struck down the EEOC’s wellness regulations as they pertained to the ADA and to the Genetic Information Nondiscrimination Act (GINA). In a nutshell, the regulations allowed employers to use financial and other incentives (within limits) to get employees to participate in employer wellness programs. Rather than vacate the regulations, the judge remanded them to the EEOC to fix. The EEOC now says that it will issue revised regulations sometime in 2018. Expect those to be more employer friendly to making healthcare more affordable for employers. The Trump and Republican promise to “Repeal and Replace” the ACA has run into more than one bump in the road. On Thursday President Trump let the nation know that he is aware of the other arrows in his health care quiver. His solution could be accomplished by allowing small business employers to band together thousands of employee lives forming “association health plans” via their trade associations or chambers of commerce, and crossing state lines. Under the Employee Retirement Income Security Act of 1974 (ERISA) there already are provisions in the law which could allow small businesses to band together to provide healthcare benefits, and even cross state lines. In East Alabama there are currently thousands of employees covered under their employer’s self-insured ERISA plans, administered by Blue Cross/Blue Shield of Alabama, with various forms of stop-loss reinsurance. Further legislation is not necessary, but regulatory change would speed adoption and expansion of this alternative for East Alabama Small Employers. The mechanism to accomplish this is the self-insured Multiple Employer Welfare Arrangement (MEWA). MEWAs can be fully insured as well. MEWAs were created under the amendments to the ERISA in 1983 which currently allows employers to form self-insured health plans through their employer business associations, which are re-insured by insurance companies using a stop-loss plan, thereby providing adequate reserves to satisfy state regulators. There are currently more than 175 self-insured MEWAs across the United States with tens of thousands of small businesses participating. In 2016 there were 9 MEWAs in Alabama listed on the Department of Labor (DOL) site. The problem is that the current law provides for dual regulation of MEWAs, by both the federal DOL and each individual state Department of Insurance, such as Alabama. The DOL has consistent standards for MEWAs, but each state can have its own unique requirements. Alabama currently has no specific MEWA regulations, but looks at the underlying stop-loss insurance carrier as the state regulated entity. This limits the ability of MEWAs to cross state lines, as they would have to navigate each state’s insurance department requirements. The 1983 amendments to ERISA provided a mechanism to resolve the problem by giving the Secretary of Labor the ability to adopt a regulation whereby the dual regulatory system can be circumvented. In other words, the DOL can adopt a regulation permitting MEWAs to cross state lines to offer more health insurance options for small businesses. The section of ERISA that provides for this is 29 U.S.C 1144 (b)(6)(B). 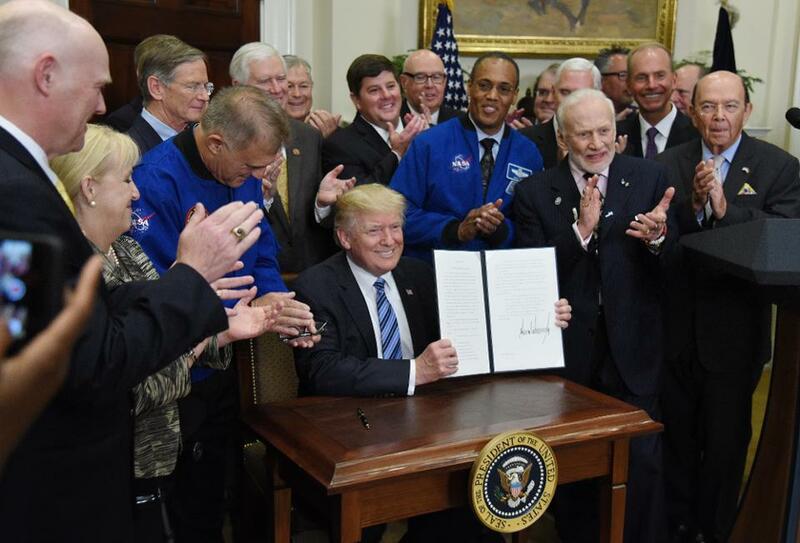 Thus, legislation will not be required and Secretary of Labor Acosta, who was first to talk Thursday at the White House, already has the authority to do this. In states, such as Alabama, where there are currently only one or two insurance options, there could be dozens of MEWAs available for small businesses to join, where local providers and employers joined together to solve their own local health care challenges. This could result in numerous lower-cost options for healthcare for small and large employers in East Alabama. Currently, 28 states and Washington D.C. have legalized marijuana for medical purposes and 8 states (Nevada, Colorado, California, Maine, Massachusetts, Oregon, and Washington) and Washington D.C. have legalized marijuana for recreational use. However, since marijuana remains a Schedule 1 controlled substance under the Federal Controlled Substances Act, possession of marijuana is still illegal under federal law. However, recent decisions will require employers to take a fresh look at their marijuana prohibition language and in those states with medical marijuana card holder protection laws, to engage in an interactive process before taking adverse employment action. Of course, an ounce of prevention (see 7 steps below) is much less costly than the pound of cure which a plaintiff’s attorney will seek to heap on an employer’s head later. However, in July 2017, the Massachusetts Supreme Court held that an employer may have to ignore an employee’s drug test failure due to the use of marijuana to treat a qualified disability because it may be a reasonable accommodation under the state’s disability discrimination law and medical marijuana card holder protection law. In Barbuto v. Advantage Sales and Marketing LLC, the employee had Crohn’s disease and a physician provided her with written certification that allowed her to use marijuana for medicinal purposes. The employee did not use marijuana before or at work, but nonetheless tested positive for marijuana on the employer’s mandatory drug test. The Court held that employers in the state had a duty to engage in an interactive process to determine whether there are equally effective medical alternatives that would not violate a drug policy. 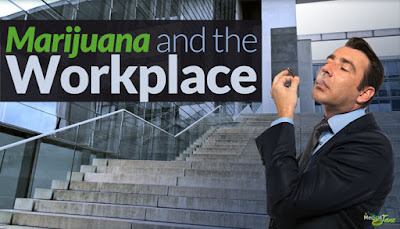 If no alternative exists, the employer must demonstrate that allowing the employee’s use of medical marijuana (or the positive drug screen for the drug) would cause it an undue hardship, such as transportation employees subject to the DOT, federal contractors and recipients of federal grants, or other employers where allowing positive drug tests for marijuana would be a violation of the employer’s contractual or statutory obligations which would jeopardize the company’s ability to perform its business. On the heels of that decision, Katelin Noffsinger was offered for a position as Director of Recreational Therapy at Bride Brook, a nursing facility in Niantic, Connecticut where she was required to take a routine pre-employment drug test. She gave notice that she was a Conn. Medical Marijuana Card Holder diagnosed with PTS and took Marinol prescription marijuana. Bride Brook rescinded her job offer because she tested positive for marijuana. In August, 2017, a Connecticut Federal District Judge, on Motion to Dismiss her lawsuit, ruled against the employer and held: 1) federal law does not preempt the Connecticut medical marijuana statute, even if they test positive on an employment related drug test; and 2) the CT MM Act provides a private right of action for individuals claiming to be discriminated against as a result of their qualifying patient status; and 3) employers regulated by federal laws are not exempt from the state statute’s discrimination prohibitions. This Federal Court decision has potentially sweeping implications for employers who conduct workplace drug testing in states with medical marijuana card holder protection laws. 7. Put all the puzzle pieces into place to form your compliant legal strategy to effectively stand firm when dealing with marijuana in your workplace. In June 2001, Paul Boyle was working as a Heavy Equipment Operator for the City of Pell City, Alabama, when he suffered an on-the-job injury that caused him to develop spinal stenosis, chronic nerve pain, and other related conditions. After the injury, he could no longer perform the duties of a Heavy Equipment Operator. The Street Department Superintendent, initially accommodated Boyle by letting him do office work. In 2005, his supervisor began allowing Boyle to perform the duties of the Street Department Foreman, and this was memorialized as a lateral move in a written agreement to not exceed 2 years. Boyle performed the duties of a Foreman from 2005 until June 2012. In 2012 rumors were that the new superintendent wanted to fire Boyle. Believing the rumors to be true, Boyle filed his first application for disability retirement with the Retirement Systems of Alabama (“RSA”) and attached to his application a “Report of Disability,” in which a physician confirmed that, in his professional opinion, Boyle was “totally incapacitated for further performance of his . . . duty.” The RSA denied Boyle’s application. The new Superintendent did in fact remove Boyle from the Foreman position and moved him to work inventory. Boyle told the Superintendent that the physical activities involved in conducting inventory made the job hard for him to do, but told him to continue working. He also assigned Boyle to operate heavy equipment despite his back complaints. Boyle asked to be returned to the Foreman position, which was refused. Boyle filed a second application for disability retirement with the RSA in August 2012, which the RSA approved and he retired on October 1, 2012. He also applied for disability benefits with the Social Security Administration and was ultimately approved. On August 18, 2014, Boyle filed a Federal Court complaint against the City, which he amended three times to assert violations of the Rehabilitation Act and FLSA, as well as state-law claims for quantum merit, unjust enrichment, and breach of contract. The District Court Judge dismissed all claims and held that Boyle could not establish that the City failed to provide him with a reasonable accommodation, given that he did not identify any reasonable accommodation that would have allowed him to perform the essential functions of the Heavy Equipment Operator position. 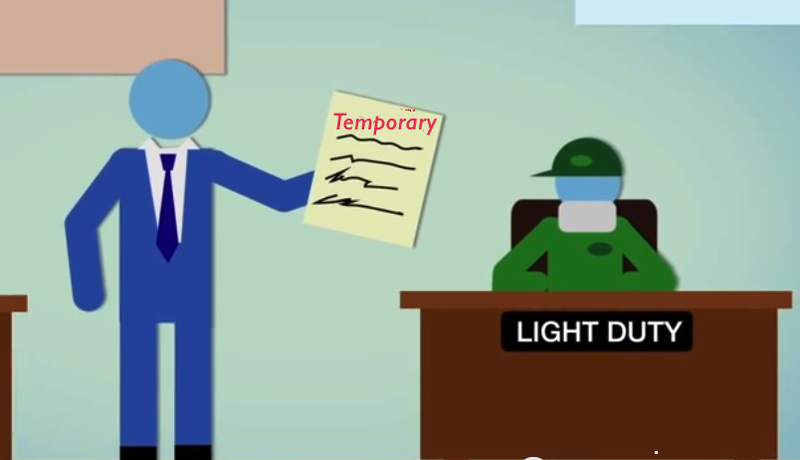 Common Sense Counsel: Always remember that the purpose of light duty is to move back to full duty, and not to create a new reduced duty position that may be viewed as an ADA accommodation. Make sure you have a memo signed by the employee with that acknowledgment, and put it on your calendar, so you do not have to explain your actions to a plaintiff attorney with an attitude.